Two weeks after conception, Baby Chris is now fully implanted in the uterine lining and the placenta is forming. The placenta will eventually provide all necessary nutrients to Baby Chris through the umbilical cord. For the time being, however, Baby Chris still relies in part on a yolk sac. Baby Chris has started producing the pregnancy hormone hCG at levels which can be detected in his or her mom's urine. Around the same time, Baby Chris's mom has likely missed a menstrual period and may be wondering if it's time to take a pregnancy test. She can purchase one at most drug stores, or get one for free at her local pregnancy resource center. Either way, she's about to get some huge news! Developmentally, Baby Chris continues to grow and is now approximately 0.15 - 0.2 mm in diameter. 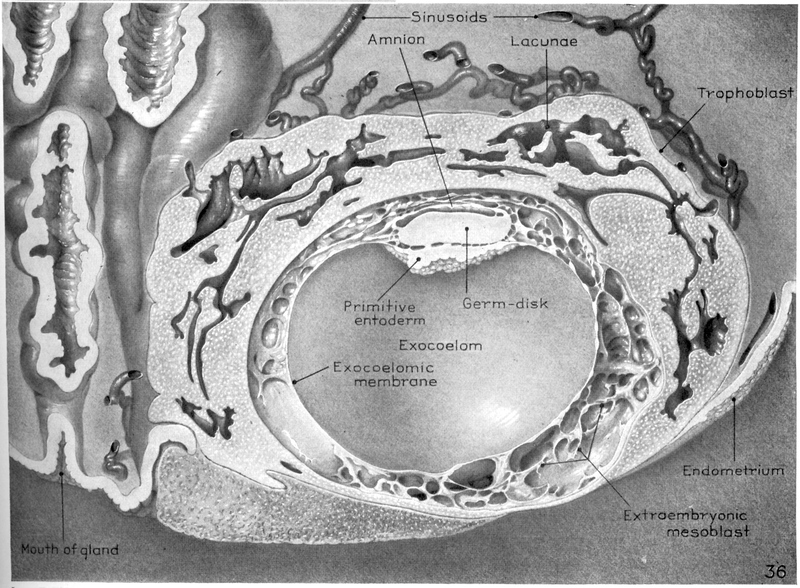 His or her body is more complex, with cells beginning to split into three sections, known as germ layers: the ectoderm, endoderm, and mesoderm—about which, more next week! If you haven't already, download the See Baby app on your phone for more information and graphics on life in the womb. We Asked, You Answered: Who Inspires You?